The Cinnamon braided rug pattern has reds, browns and tans interwoven into a delightful design that is sure to spice up your room. This rug will work in rooms that have browns tans or reds. 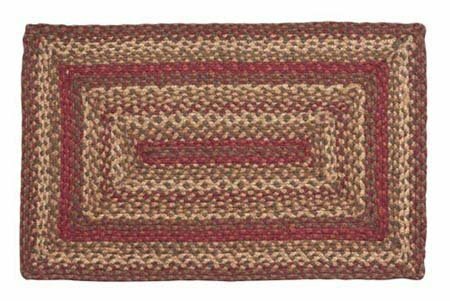 Cinnamon rectangular braided rug which measures 27" x 48". Made of 100% Jute. The braided construction makes it very durable. Manufactured and imported by IHF Home Décor.